This post is sponsored by Red Baron Pizza. All opinions are my own. If you live in the south like me, then you’ve been probably been wondering where fall has been. Just 4 days ago (on Sunday), it was was over 80 degrees! My son plays for the middle school this year and my husband bought me a sweatshirt to support the team, but I haven’t been able to wear it. I’ve worn shorts and a t-shirt to EVERY game and they only have one game left! I’m in North Carolina and today when I woke up it was 38! Let me tell you, I was FREEZING! As I am typing this, my hands are so cold! FALL HAS FINALLY ARRIVED! 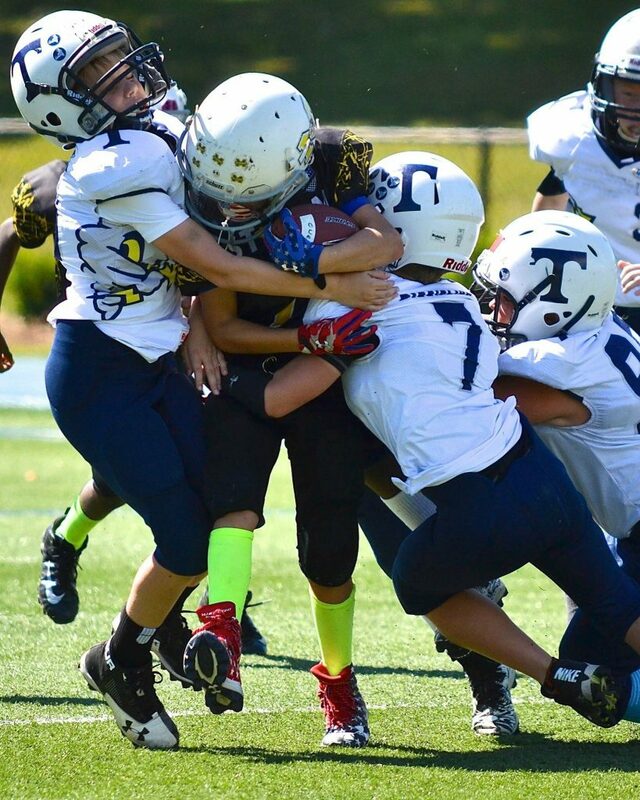 I have two boys that play football. Here’s a good picture of my younger son. Our team mom, Jill, took it and I have to put it up here because it’s so good! It takes three to get him down! If we aren’t practicing football or playing a football game, then we are watching football, playing backyard football with the neighborhood boys or adjusting the fantasy football lineup. That’s just what we do. We have kids running in and out of the house eating all our snacks. 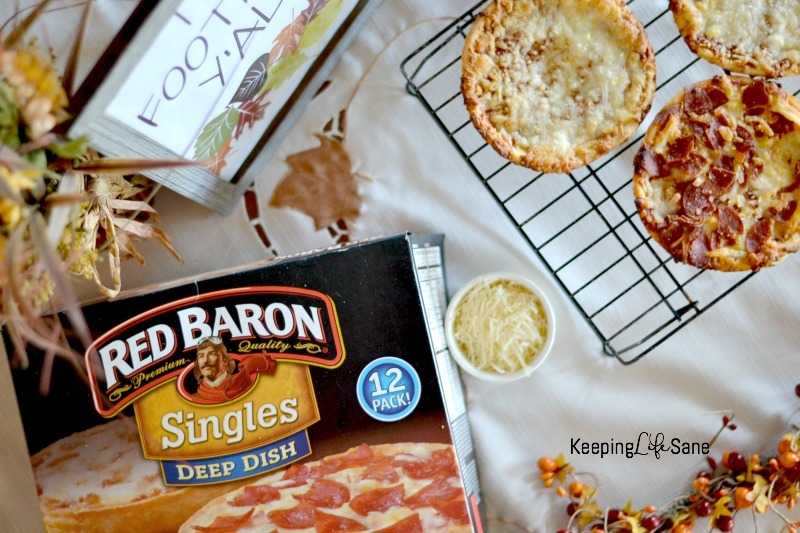 On days like this we usually have pizza, Red Baron pizza. I picked them up at Sam’s because I wanted a big box. 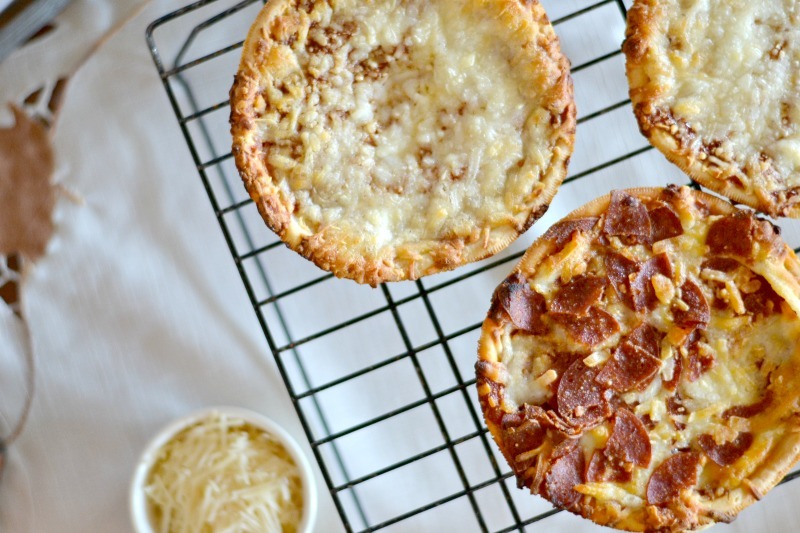 They have Deep Dish Singles and Minis. They are so easy to make and everyone we have over (adults and kids) love them. I LOVE to keep things SIMPLE! 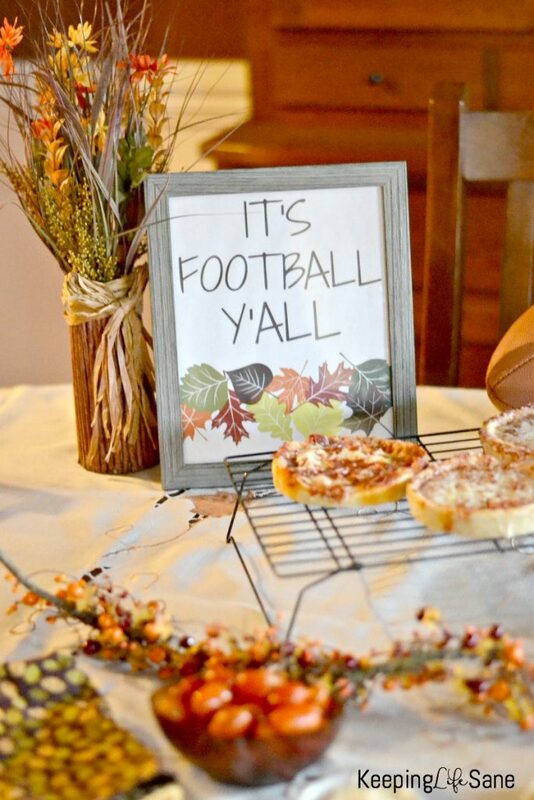 It’s so easy to have a football party these days. I just grabbed my fall directions and laid them out on the table. While the pizzas were cooking, I put out some fruits and vegetables. People ALWAYS eat fruits and vegetables if you put them out! 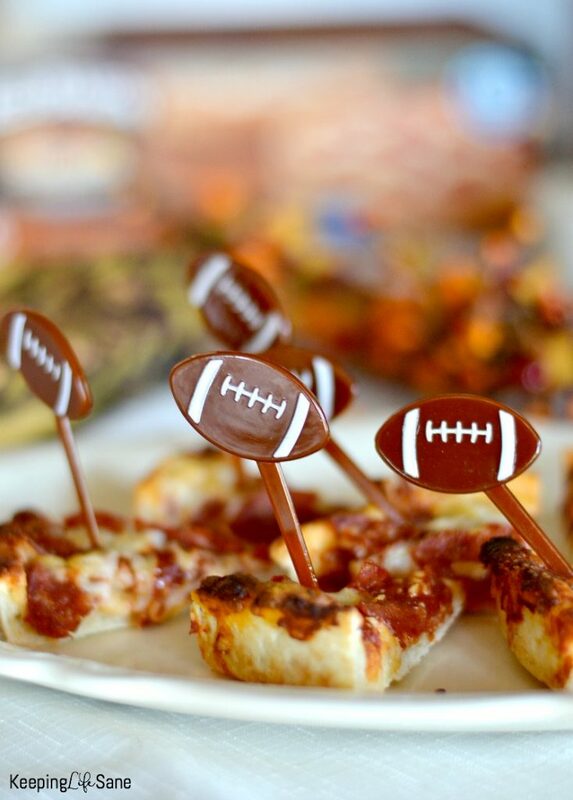 I bought these cute little football toothpicks to make it look a little fancier and bought some football napkins and we are just about good to go. 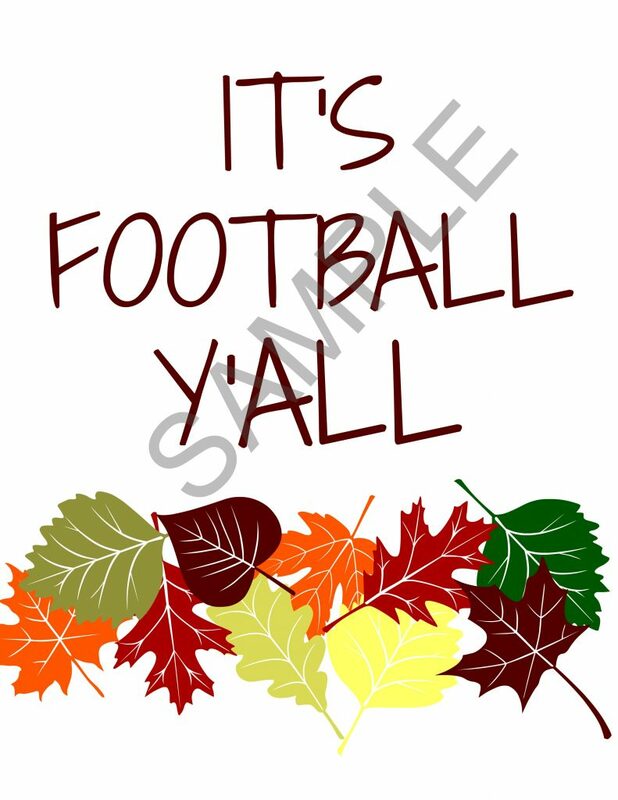 Here’s a cute football sign that I made up that you can print out. I try to be mindful of printer ink when I create these. It’s easy to print out. Just follow these directions. Click on the printable or here and it will take you to Dropbox so you can download the image to your computer to save or print. 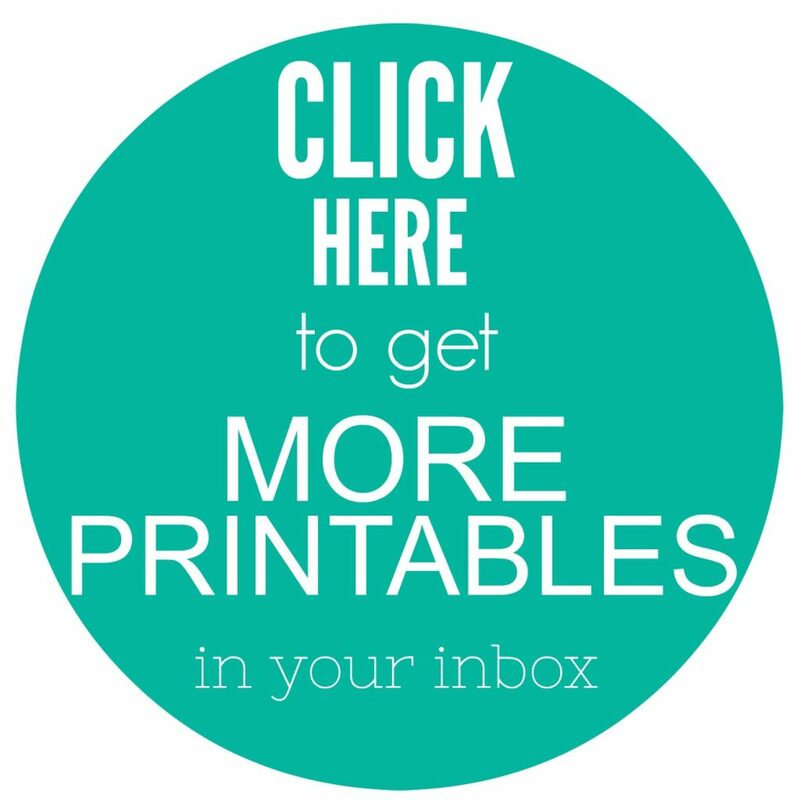 I have my printables stored there so I can give out a higher quality image without slowing down my website. Please let me know if you have any issues and I’ll get you going! You WILL have to trim the paper to get it to find into a 8″X10″ frame. Hint: You can take this printable and my others to an office supply store and get them printed off for around $.50.